Sure-Set helps establish a better understanding of the golf swing. The backswing is one of the most important elements of your game. 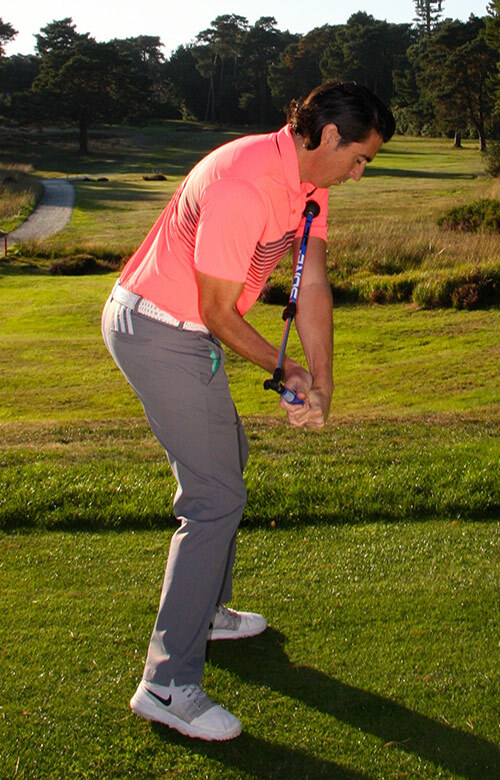 Master this move and you will load and store more power, ready to unleash it through the golf ball. You will hit straight shots with effortless distance. The perfect way of increasing your opportunity to practice little and often. It’s so simple to use and will become your personal reminder to reinforce good habits every time you swing. 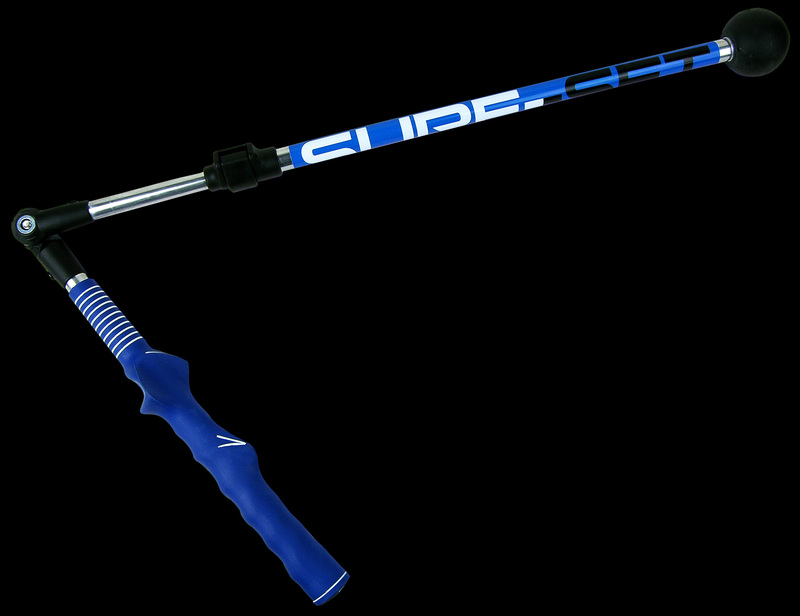 Invented by one of the world’s leading coaches UK PGA professional Dan Frost. The Sure-Set golf training aid is designed to make the backswing move very easy. It trains you how to ‘set’ the club into the correct loaded position with great swing width, on the right plane, with the right angles. It allows you to learn through feel, installs a new improved simple swing sensation, that is easy to repeat and transfers seamlessly to the course. When you master this move you will load and store more power, on plane, hitting effortless, accurate golf shots leading to more enjoyment and lower scores. Think of your Sure-Set as training wheels for your constantly improving golf swing! Please take advice from your medical practitioner before using Sure-Set. This product is not a toy and is not suitable for children.